Engineering is fundamentally about creating things—and the possibilities are endless. By responding to a real-life need from a local business man as a Berkeley grad student, Dr. Mote launched a research career that earned him international recognition and an election to the National Academy of Engineering (NAE) in 1988. He holds several patents in the United States, Norway, Finland, and Sweden. He received his B.S., M.S., and Ph.D. degrees at the University of California, Berkeley in Mechanical Engineering between 1959 and 1963. 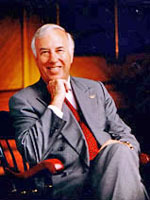 As a faculty professor at Berkeley for 31 years and later as President of the University of Maryland, he has mentored 58 Ph.D. students. Dr. Mote has recently started his six-year term as NAE president.